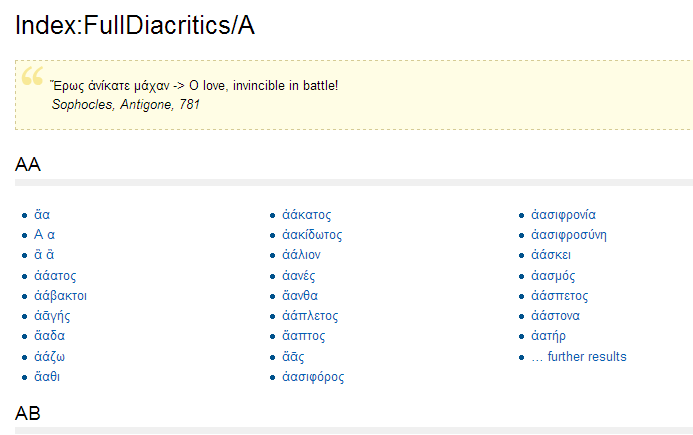 A new implementation of the Liddell, Scott, Jones (LSJ) Ancient Greek dictionary. 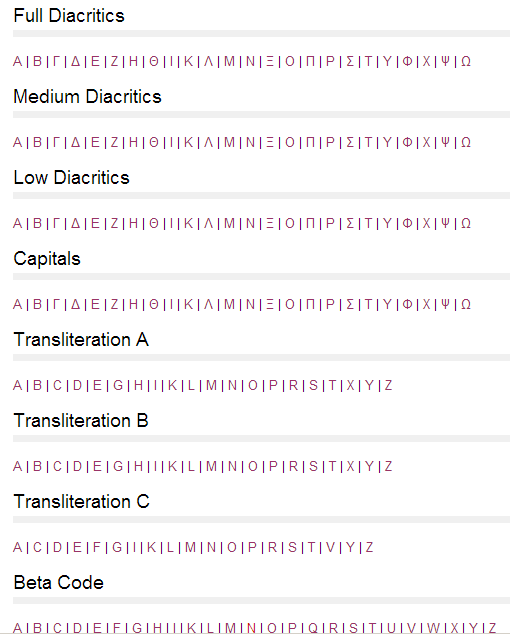 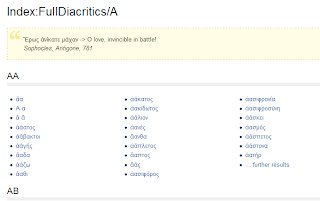 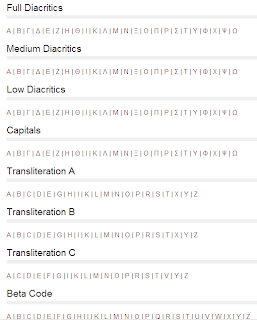 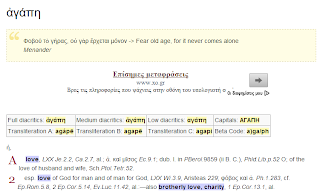 A number of features have been added to enhance translatum's wiki implementation; for example diacritics-insensitive live search, random ancient Greek quotes with English translations, semantically arranged data and Indexes with different transliterations and forms to match every taste, from the scholar to the layman. 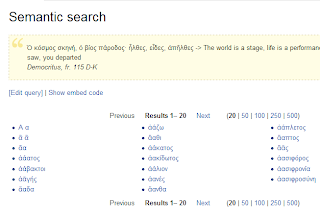 Most importantly, you can search using polytonic Greek, monotonic Greek, atonic Greek (without any accents at all) as well as Latin characters, (lowercase or uppercase). 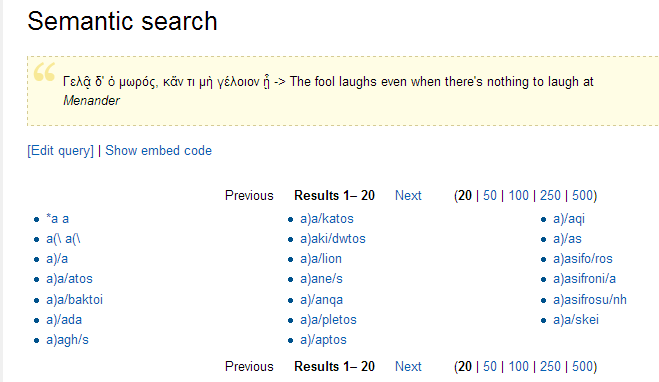 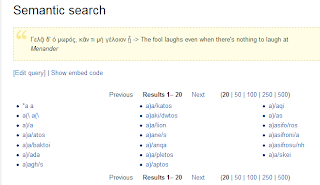 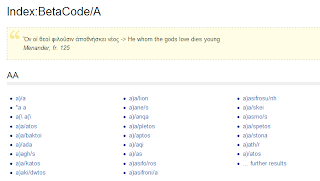 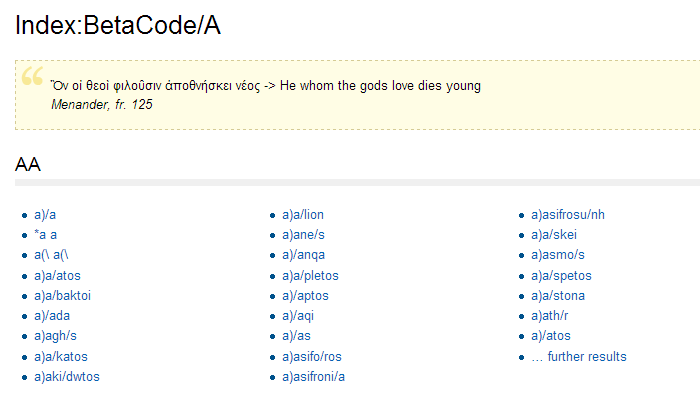 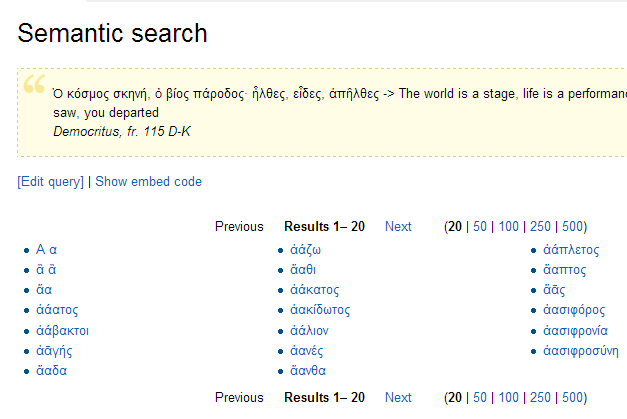 Try an Ancient Greek search now!